Group portrait of the Meddies. Front row: George W. Graham, Arthur Grove, Terry Stenberg, John Nungesser, Robert Martin. 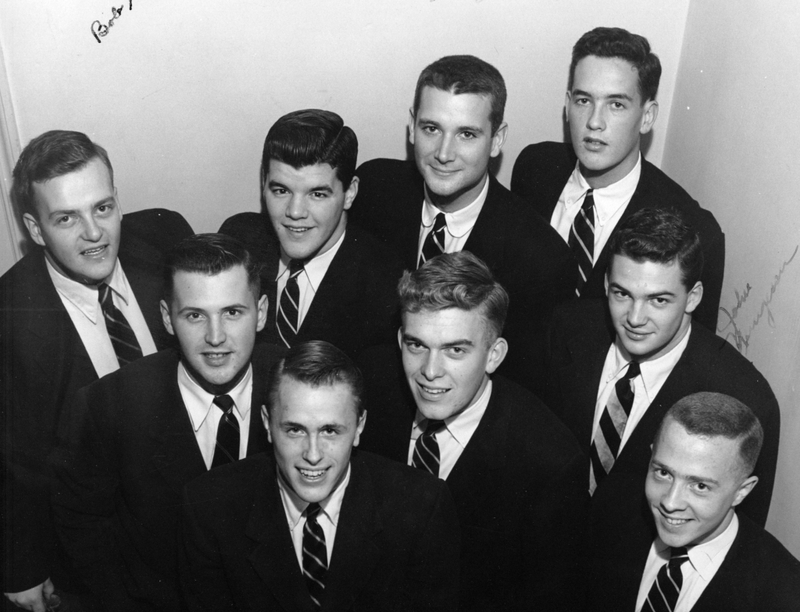 Back row: Robert Hinckley, William Perkins, Larry Dwight, Norman Nicholson.